Elizabeth Thorn was a Professor of Education at Nipissing University and an internationally-renowned Language Arts expert. Born in North Bay in 1930, Thorn received her Ontario Teacher’s Certificate from North Bay Normal School in 1948 and worked as a teacher at Powassan Public School from 1948 to 1959. She graduated from the University of Toronto with a Bachelor of Arts degree in 1958, and subsequently completed her Master of Arts degree (1960) and doctorate (1967) at the University of Chicago. She worked as a Teaching Master at North Bay Teachers’ College from 1960 until 1973 when she joined the Faculty of Education at Nipissing College after the teachers’ college was integrated into it. 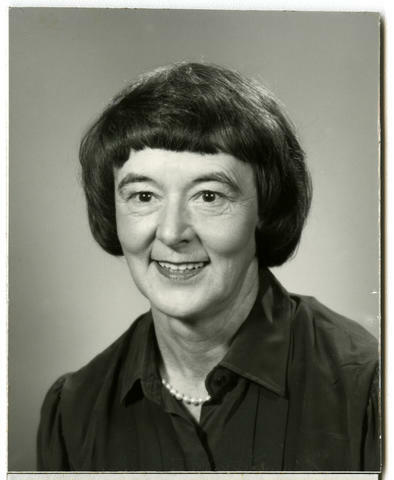 In 1974 Thorn was tenured and became a Professor of Education, a post she held until her retirement in 1998. Thorn was an internationally-recognized expert in Language Arts, pioneering new methods and developing many widely-adopted curriculum guidelines for the teaching of reading at the primary level. She contributed greatly to the development of the education program at Nipissing University and established the Nipissing Language Conference, a major gathering of Language Arts educators that was held for over twenty years. She also made major donations to Nipissing University which funded a scholarship and a research chair in literacy and language arts in her name. Thorn received many awards for her contributions to education, including the Ontario Council of Teachers of English’s Teacher of the Year Award (1975), the Order of Ontario (1994), and an honourary Doctor of Education degree from Nipissing University (2002). Elizabeth Thorn died in 2002. Fonds reflects Thorn's work as a Professor of Education at Nipissing University. Arranged into two series, the fonds contains publications that Thorn authored, co-authored, or contributed to; videocassettes of her lectures and awards ceremonies; and children's books that she collected. The photograph linked to this description is a faculty portrait titled "Elizabeth Thorn - B.A., M.A., Ph.D. - Language Arts," [199-]. The photograph is from the Office of Marketing and Communications (Nipissing University) fonds.